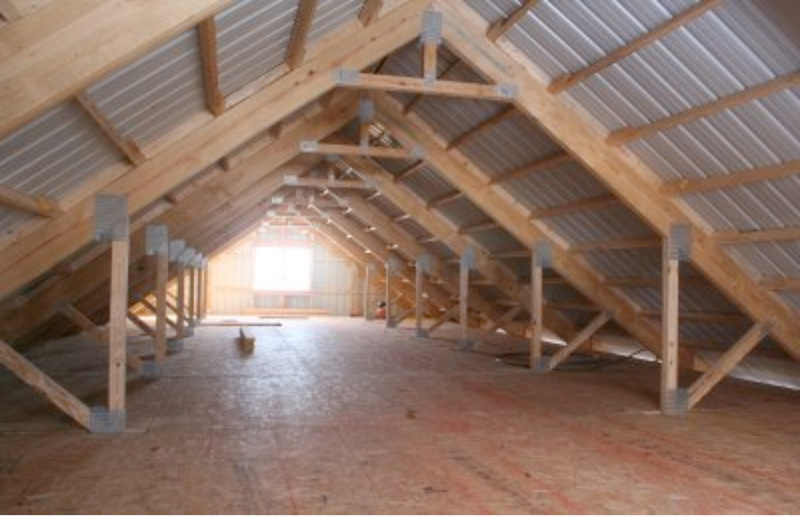 Is Your Attic a Healthy Space? The attic area of the home has long been portrayed in movies as a mysterious and sinister place. Attics are where murder victims are hidden and where embarrassing relics of the past are abandoned only to be rediscovered by hapless heirs. In real life, attics are mostly boring, filthy and difficult to access. If yours is like most, it is an unpleasant mix of marginally efficient insulation, years of accumulated dust, leftover construction debris and chewed electrical wires mixed with rat and mice droppings. Building codes and traditionally accepted attic construction practices have helped contribute to this malaise as well as other more expensive attic related problems like heat loss, ice dams, wood rot, mold, termites and shortened roof life. For nearly 70 years code requirements mandating attic ventilation have been accepted by most architects, builders and roofing professionals as a necessary component of a durable and successfully performing roof assembly. Ventilation requirements were first put in place in 1942 by the National Housing Agency. 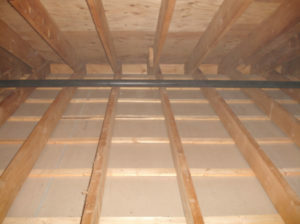 The rationale for venting attics included “flushing” heat from the space, allowing wood to “breathe” and to circulate air so as to allow moisture to escape thus preventing condensation on the interior of the space. According to the American Society of Heating, Refrigerating and Air-Conditioning Engineers (ASHRAE), the primary aim of code requirements for ventilating attics was to prevent condensation from occurring on the undersides of the roof sheathing. Keeping the attic space cool during the summer and improving the service life of roofing materials were also named as benefits of good attic ventilation. Now it is acknowledged by recognized ventilation experts that the technical data used as the basis for these ventilation requirements was limited at best and in some cases counterproductive. In ASHRAE’s 1997 Fundamentals Handbook, several disadvantages of providing attic ventilation are cited. For example, cold air that is drawn into attics during winter can degrade insulation thermal performance. Also, in warm, humid climates, venting actually tends to increase an attic’s moisture and humidity levels. Here are some other problems with these concepts. Heat flushing: Because the roof structures of vented attic spaces aren’t insulated, they get very hot (up to 150 degrees) in summer and very cold in winter. If ductwork runs through the space—as it does in many homes—those extreme temperatures can make the HVAC system work harder than it should in any climate. And because ducts are notoriously leaky, it means these HVAC systems will basically be heating and cooling the great outdoors. It is important to understand that the dominant heat transfer mechanism in an attic is radiation. The sun heats the roofing and the roofing radiates this heat into the attic space. Venting an attic will not “flush” radiation. The air in an attic perfectly vented (to code = 1:300 ratio) results in an average air change rate of 3 to 6 changes/hour. At this level of air change there is virtually NO reduction in heat transfer to the conditioned space through the vented attic as compared to an unvented attic insulated to the same level. This assumes an airtight ceiling and no ductwork or at least well-insulated and leak-free ductwork in the attic. The moment ductwork (assumed airtight in this instance and insulated at R-6) is installed in a vented attic, the balance changes. There is approximately a 5 to 7 percent increase in heat transfer to the conditioned space as compared to an unvented attic. This is due to conductive heat gains through the surface of the ductwork and air handler now located in a “hostile” location (a hot, vented attic), rather than inside a 75°F conditioned space (the “house”). When “leaky” ductwork is introduced in a vented attic there is approximately a 25 percent increase in heat transfer to the conditioned space. Of course this does not happen if you have airtight ducts and an airtight ceiling (then the penalty for venting the attic is only 5 to 7 percent as previously noted). Now, if you locate the ducts within the conditioned space and also build an airtight ceiling, this is approximately 3 to 25 percent more efficient than an unvented attic. Bottom line, venting attics to reduce heat transfer is counterproductive. Moisture: In many locations the air outside can be hot, humid and contaminated. By creating a path for air to flow, attic vents are supposed to prevent the buildup of moisture, but in practice, especially in hot and humid climates, vents will draw moisture into the structure rather than eliminate it. Bringing this moist air into the attic allows it to diffuse through the insulation and condense on the air ducts and the cold, air-conditioned ceiling. This can actually create dew and even rain conditions inside the structure and is counterproductive as to reducing moisture levels. Durability: There are debates raging about the effect of unvented attic spaces and the durability of various roofing materials. Excessive heat is usually the debated issue. The fact is, venting an attic under the traditional code has very little (about a 5 percent or less) impact on the temperature of the roof materials (shingles) and sheathing. This is less than the variability of temperature between climate zones in the US. This variable has no measurable affect on roof material performance and durability. The color of the shingle has far more effect on temperature variation than venting or non-venting the attic. The single biggest impact on roofing shingle durability is ultra-violet light and is far more critical than temperature. The best roof therefore for hot humid climates is a low radiant material like a concrete or clay tile roof. Venting an attic for the purposes of improving the durability of the roof a false argument. ASHRAE has recently stated that the advantages and disadvantages of providing attic ventilation need to be evaluated on a case-by-case basis. ASHRAE also agrees that the net benefits of venting do not outweigh the disadvantages; therefore, venting should not be required and should be considered a design option. An unvented attic is a space between the ceiling and roof where there are no vents. In this design the insulation is placed against and follows the slope of the roof sheathing thereby including the attic space within the conditioned building envelope. The main source of support for conditioned attic systems comes from the US Department of Energy (DOE), as a means to reduce energy consumption. Research began in 1996 and as a result of the DOE research work, conditioned attic systems have been constructed under special approval for more than 10 years, and a set of design recommendations has been developed for common use. The DOE design guideline was permanently adopted by the International Code Council (ICC) in 2004. The change allows unvented roof assemblies if two conditions are met: 1) there can be no vapor retarder between the attic and the home’s living space and 2) the insulation system must be designed to completely fill between the rafters forming an air-impermeable barrier. Keeping the living space and the attic space at the same moisture levels is important. 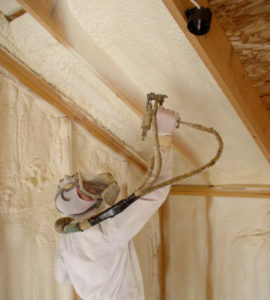 The requirement for air-impermeable insulation basically means the use of spray-on foam. Researchers found that buildings with unvented attics and spray foam insulation are less likely to have condensation and mold than those with vented attics. The reason is that most moisture comes from outside, and the foam keeps the attic dry by sealing that moisture out. Some additional benefits to a sealed attic include the elimination of the primary source of dust and pollens and the closing off of rodent access points making a cleaner, healthier environment. 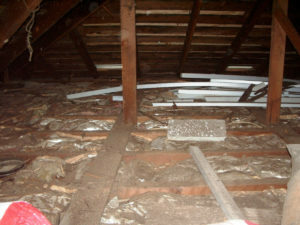 To create a healthy, non-vented attic space you need to clean out the attic. Start by removing any existing insulation. Take care while working in the attic to avoid a misstep through the drywall ceiling. It’s best to install secure temporary working platforms that span the ceiling joists. 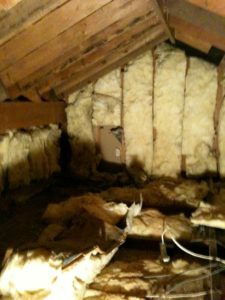 Insulation removal can be a messy job, especially if it was blown in and access to the attic is on the interior of the home. Wear protective gear (gloves, respirator, eye protection and skin coverings) and bag the material for removal. Install protective material like plastic sheeting on the floor and walls to help contain the mess. Expect to find surprises mixed in with the insulation like rodent droppings and corpses, roofing debris and lots of dust. When the insulation is removed, vacuum every inch of the attic to remove the years of accumulated dust and pollution. Wipe down flat surfaces with a non-toxic cleaner to remove any residual dust and freshen up the space. Next repair any electrical, plumbing or ducting aberrations. Make sure electrical connections are enclosed in boxes as required by code. Seal off plumbing vents, pipes and all ductwork to eliminate leaks at joints or connections. Inspect the underside of the roof area for signs of leaks or potential problems and fix them. Remove all attic fans and passive vents and patch the openings to be leak free. tics were not originally designed or constructed to carry loads beyond the weight of the ceiling drywall. Install spray-on, closed-cell foam insulation to the underside of the roof system per the manufacturers directions so that no outdoor or indoor air can reach the underside of the roof sheathing. A pristinely clean, unvented attic space is a great asset for the home, dramatically lowering energy use, reducing fire risk, improving durability of both the structure and heating equipment, and creating far healthier living conditions. Another example of improved sustainability by reexamining generally accepted building practices for weaknesses and ways to improve.